Following the launch of your website we can help develop the right culture and processes to ensure continual improvement. Technologies evolve and your market will mature. 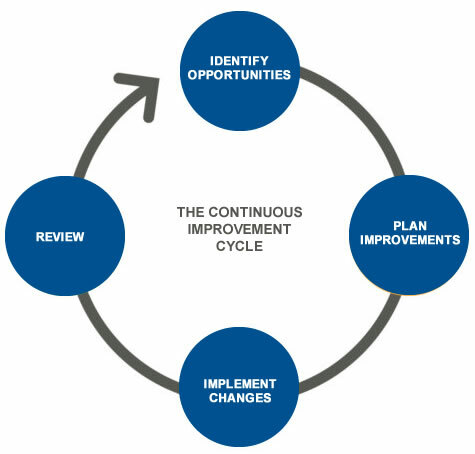 Improvement opportunities can come from a variety of sources including user feedback, new technologies or organisational goals. We encourage our clients to look for incremental improvements where the user experience UX is constantly evaluated in the light of efficiency, effectiveness and flexibility. At Artificial Art, ongoing maintenance is provided by the team that created the website, ensuring you have access to any technical, creative and strategic assistance that may be required. Our maintenance process includes keeping your site secure with the latest software patches and upgrades. For support enquiries we provide a fast-response ticketing system combined with direct telephone support to account specialists. We understand response time is paramount to customer satisfaction. Artificial Art’s 24 hour Help Desk Service is designed for organisations that need instant support for both users and administrators. With our Help Desk services, your users get access to live, full-time technical support professionals with specific expertise on your website. We use both Laboratory and Remote usability testing as part of our UX design process to reveal problems, highlight opportunities and ensure continual improvement. We develop SEO strategies based on generating quality content, effective keyword research and competitive analysis to create measurable, enduring success. Our on-going support is provided by the actual designers and developers of each project. For your general users we are also able to provide a 24 hour help desk.